Over on YouTube user radio innovation has uploaded a brief screen capture showing his Raspberry Pi 3 and RTL-SDR dongle being used as an always-on monitor for low transmit power based signals such as FT8, JT65 and JT9. These signals are transmitted by ham radio enthusiasts for the purpose of making contacts, and determining propagation conditions. This is a good application for an RTL-SDR and Raspberry Pi 3 as it enables cheap monitoring of these signals without the need to tie up a full sized ham radio. 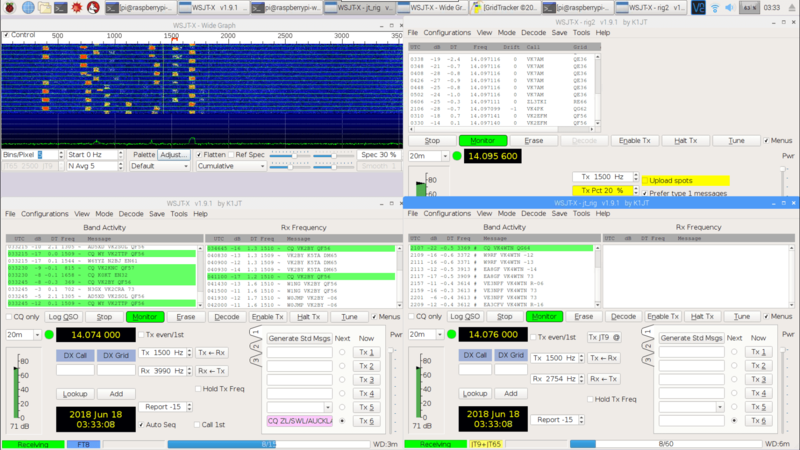 Remote Desktop screencapture of my Raspberry Pi3 monitor receiver on 40m amateurradio band with WSJTx and decoding FT8,JT65 and JT9. Receiver hardware is RTL-SDR(tcxo) + simple converter and homemade bandpass filter. 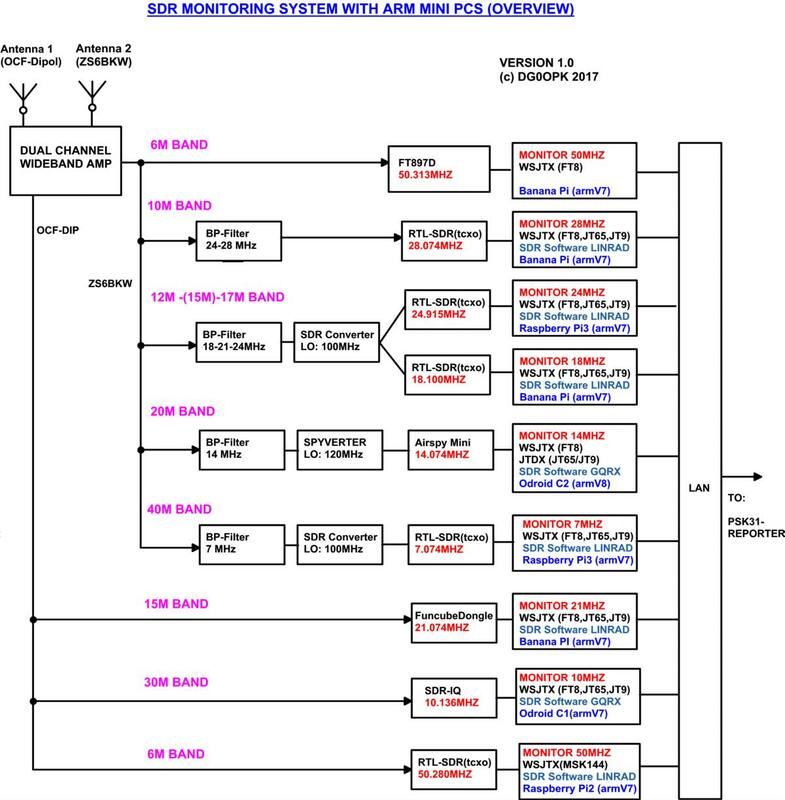 SDR software is LINRAD by SM5BSZ. RasperryPi3 OS is Ubuntu Mate 16.04. Update: We now have a tutorial on creating a similar set up available on a new post.